The following section will look at the options available to you if you have had a criminal, traffic or Apprehended Violence Order (AVO) matter listed in the Local Court of NSW and you missed the Court date. If you have missed your Court date, it is important that you first contact the Court staff to find out the outcome of the decision that was taken in your absence. If you are unhappy with the decision made by the Magistrate, you have the right to make an Application to the Court to review a conviction, penalty or order made in your absence. An Application for annulment is also called a ‘Section 4 application’. If you had bail to attend Court and missed the Court date, it is essential that you find out the outcome of the decision as soon as possible since the Magistrate may have issued a warrant for your arrest. For more information, please refer to the NSW Government’s ‘Review and annulment of convictions’ website. B-	How and when can you apply for a review? The application for annulment must be lodged in writing, using a special form, with the Registrar of the Local Court which made the decision. 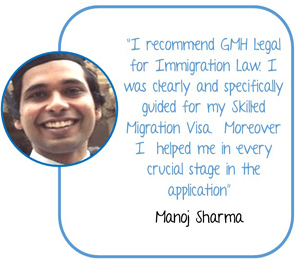 It is likely that you will have to attend Court when your application is to be determined. You will need to pay a fee for lodging the application. If you are a low income earner, you may ask the registrar to waive or postpone this fee. 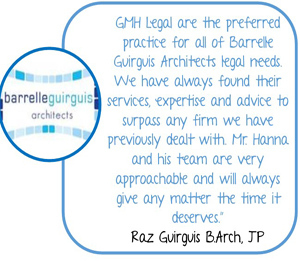 At GMH Legal we always advise our client to apply for a review of the decision as soon as they realize that they have missed their Court date. Except under very rare circumstances, you cannot lodge an application if more than two years have passed since the Local Court made its decision. C-	What happens after you lodge the application? When you go to Court, you will need to explain why you did not attend Court on the previous date. The circumstances of your case justify the application being granted. 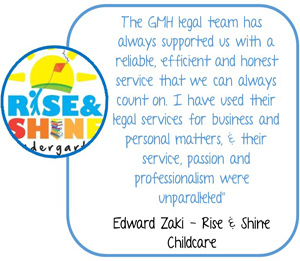 We recommend that you bring to Court with you any evidence, such as witnesses and documents, that could help your case. If your Application is successful, the Court will annul its decision. This means that the conviction, penalty or order made in your absence no longer has any effect. If your application is unsuccessful, the conviction, penalty or orders made in your absence will take effect. You have 28 days to appeal to the District Court the refusal to grant an annulment. You must lodge your appeal in writing to the Registrar of any Local Court. 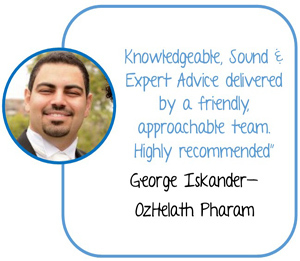 For more information, please refer to Legal Aid NSW’s ‘Application for Annulment’ brochure. According to section 11(1) of the Crimes (Appeal and Review) Act, any person who has been sentenced by a Local Court may appeal to the District Court against the sentence. You are a party to an AVO which has been varied or revoked by the Local Court or the Local Court has refused to vary or revoke an AVO. A-	How and when do you appeal? You can lodge an appeal at any Local Court by completing a ‘Notice of Appeal’. You will need to pay a fee to loge the Notice, but if you are a low income earner, you may ask the registrar to waive or postpone this fee. You have 28 days from the date of the Order to appeal, however we always encourage our clients to lodge their appeal as soon as possible after the Order has been made by the Local Court. In the event you have not lodge your appeal within 28 days, you may apply for leave to appeal within 3 months of the Order by completing an ‘Application for Leave to Appeal’ form, in which you will explain your reasons for not lodging an appeal within the 28 day-period. B-	What happens to the Local Court Order until your appeal is heard? If you are appealing against a traffic offence and your license was disqualified, you must enquire whether that disqualification is stayed while you are waiting for your appeal. If you are appealing against an AVO, the Order is not automatically stayed (suspended). C-	What happens during the appeal? The judge will look at any documents or other items that were tendered at the Local Court hearing. In addition he will also listen to the submissions made by you and by the solicitor from the DPP. In any other case, that there are substantial reasons why, in the interests of justice, the person should attend and give evidence. In a severity appeal you will be able to give evidence and/or call someone to give evidence about you. 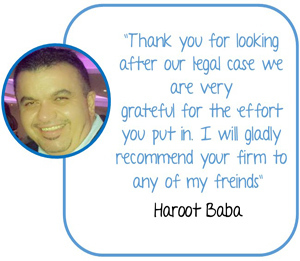 We always encourage our clients to also give the judge documents about themselves including medical certificates if you have any health issues, report from a counsellor or any other character references. In an appeal against an AVO, the judge may decide that an AVO is or is not necessary or that the conditions should be changed. If you are unsuccessful in the District Court, the orders made by the Local Court will take effect. For more information, please refer to the Legal Aid’s ‘Appeal to the District Court’ section. The Court of Criminal Appeal (CCA) is the State’s highest court for criminal matters. A person who has been convicted or who pleaded guilty and been sentenced by a Supreme Court or District Court Judge, may appeal to the Court of Criminal Appeal. Appeals are generally heard by three judges, although five judges may sit when significant legal issues need to be considered. The CCA only deals with cases where it is said to be an error of law by rights. 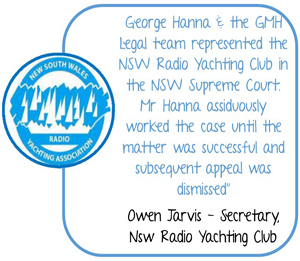 If you, a family member or a loved one has been convicted of an offence following either a trial before a jury or a judge sitting without a jury (District Court of NSW or Supreme Court of NSW) and you believe that there has been an injustice and the verdict is wrong, an appeal may be brought to the NSW CCA under the Criminal Appeal Act. For more information, please refer to the Judicial Commission of NSW‘s ‘Overview of Sentence and Conviction Appeals in the NSW CCA’ publication. A-	Can I appeal to the CCA? With the leave of the Court, against the sentence passed. Whether an appeal to the CCA is an appeal against conviction, an appeal against severity of sentence by the convicted person or against adequacy of sentence by the Crown, the appeal is not by way of rehearing, and the bases upon which the CCA may intervene in any of the situations are narrow. The applicant must lodge a ‘Notice of Intention to Appeal, also known as Form No 4A, ’ with the CCA within 14 days of the date of conviction or sentence. If an appeal is not lodged within 14 days, an application will have to be made to the CCA for an extension of time to appeal. There was a miscarriage of justice on any ground. Even if the court finds in favour of the appellant on some point of law, it may still dismiss the appeal it if finds no substantial miscarriage of justice has occurred. For an appeal against sentence, if the CCA agrees that the sentence is too severe, it may reduce it. The Court also has the power to increase the sentence if it takes the opposite view. The applicant must note that the Crown can appeal against the sentence imposed by the trial judge if it thinks it was too lenient. The Court can increase the sentence if it thinks fit. provided that the Court may, notwithstanding that it is of the opinion that the point raised by the appeal might be decided in favour of the appellant, dismiss the appeal if it considers that not substantial miscarriage of justice has actually occurred. In any other case the CCA shall dismiss the appeal. Generally, an appeal is listed for mention 2 to 3 weeks after the appeal is lodged by the appellant. The High Court is the highest court in the Australian Judicial system. The functions of the High Court are to interpret and apply the law of Australia, to decide cases of special federal significance including challenges to the constitutional validity of laws and to hear appeals, by special leave from Federal, State and Territory Courts. A-	How can I appeal to the High Court? In order to appeal to the High Court of Australia (HCA) against a judgment of the CCA, you will first need to apply for special leave to appeal to the High Court. Is in the interests of the administration of justice. Therefore while the High Court is final court of appeal, it cannot be considered a general court of appeal. Conviction appeal: An appeal against a finding of guilt, the recording of the finding, and the complete orders made by a court in relation to the finding. All grounds appeal: An appeal against conviction and, if unsuccessful, an appeal against severity of sentence. Appeal as of right: An appeal that you can pursue without the need to obtain the court’s permission. Appeal by leave: An appeal that can only be pursued once you have been granted leave (permission) by the court that will hear the appeal. Whether or not the court will grant leave depends on the facts and circumstances of your case. Court of Criminal Appeal: The Criminal Court of Appeal (CCA) is a division of the Supreme Court of NSW and is the highest criminal court in this State. It hears rewview and appeals from the NSW District Court proceedings that involve indictable (more serious) offences. It may also hear appeals from the Supreme Court, but these involve offences of an extremely serious nature (e.g. murder). High Court appeal: The High Court is the highest court in the Australian judicial system and is the court of final appeal. Special leave: Special leave is required for High Court Appeals. It is usually only granted if it concerns a question of law that is of public importance. The High Court will decide whether or not to grant special leave to appeal.